Many years ago, before there were “internet enabled” mobile devices, I remember shopping the various cellular providers in search of any gadgets that might have the ability to transmit Internet pages over the cellular lines. I was desperate for a way to research eBay prices while sitting at antique auctions. 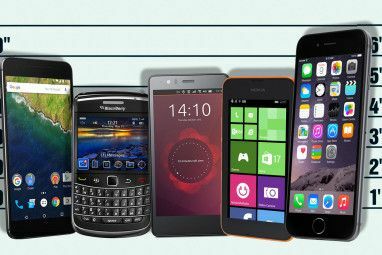 Only a few years later, this technology was realized in the form of the Personal Digital Assistant with Windows Mobile software connecting to the Internet through the “new” 2G data network…the predecessor to today’s 3G network and beyond. Not long after PDA’s became Internet ready, a company named Research in Motion (RIM) developed a new device, and more importantly a new, groundbreaking technology, that would change the world of mobile Internet access forever. Today I’m going to answer the question, what is Blackberry technology, and I’m also going to describe why it still remains the most effective methods of doing business (or having fun) over the Internet while you’re mobile. In all honesty, there’s nothing overwhelmingly terrific about the Blackberry device itself. PDA devices had cellphone and Internet capabilities integrated into them long before the Blackberry became a household name. The first versions of the Blackberry weren’t leaps and bounds ahead of the leading hand-held mobile devices of the day. With that said, the Blackberry technology itself was a major advancement in mobile technologies, and it’s the Blackberry service that ultimately led to the popularity of this device. It’s the ability of this service to keep you instantly connected to your home or office network that made it into the leading mobile devices today – with its own cult following of avid enthusiasts and users. So what exactly is Blackberry Technology, and what makes it so special? It’s called Push Technology. There are different configurations of the Blackberry service, but the most common enterprise setup is with the Blackberry Enterprise Server (BES). The entire purpose of this server is to keep all Blackberry users instantly updated the moment any “data event” occurs (my own terminology). To understand blackberry technology, it’s important to first understand how the PDAs operated before the Blackberry came along. While most of the discussion centers around email, I like to refer to “data events” as anything that requires an update on your mobile. In the days before PDA became Internet enabled, you would basically do your work while mobile and then when you get back home or to the office, you connect a cable between the device and your PC and do a “sync.” During a sync, changes on your device get uploaded to your email or calendar accounts and any new emails or calendar changes at the accounts get loaded onto your PDA. Updates would take place once a day – or whenever you have time to sync the device. However, once PDA devices came integrated with Internet access via cellular data networks, you could sync certain “data events” with your various accounts without having to physically connect to the server. This is illustrated in the figure above. When you want to retrieve new emails on your POP3 or IMAP email account, you tell the PDA to go out and retrieve new emails. The path of data transfer starts with the PDA (the red arrow), and through the Internet-enabled mobile email software which connects with and talks to the email server over the Internet. After retrieving all new emails, the connection to the server is disconnected and new emails are displayed. If you want to reply to one of the emails, you type your reply on the PDA and click send. The cycle starts all over again, with the PDA always initiating communication and requesting updates. Because of this, if you haven’t configured your mobile device to automatically retrieve emails, you could go hours without receiving an important email. Now, let’s take a look at how synchronization takes place with Blackberry Technology. 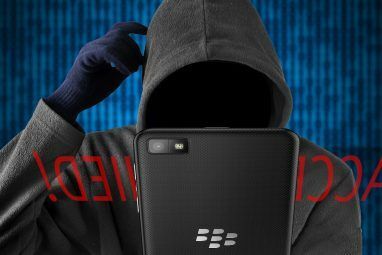 When you’re using a Blackberry device, you can picture your handheld unit as a network device, like a PC on a LAN, that’s always connected to your data account through the redirector software. Instead of residing on your mobile device, the software (whether it’s BES or desktop redirector software) is installed on the Blackberry Enterprise Server. Communication between the software and the server, as well as the software and your Blackberry, is always a two-way street. Whenever there’s a change in your email account, calendar or any other monitored account on either the Blackberry (if you create and send an email) or on the office network (your secretary updates your calendar with a new appointment), the BES immediately updates either the mobile device or the email or calendar account. In other words, Blackberry push technology keeps the device constantly and instantly in “synch” without any effort on your part. What Is So Special About Blackberry Technology? In all honesty, a PDA running Windows Mobile could be configured in much the same way as the BES service. There are new “sync” options being offered every day that can help you to keep your Internet-enabled Windows mobile device instantly up to date. For example, Aibek mentioned a few great sync tools such as ShifD, Mobical or OggSync 10 Sync Tools every Office Worker Should Know About 10 Sync Tools every Office Worker Should Know About Read More that will do just that. Another cool method is Karl’s use of Mail2Web to sync up his device with email. Or, it could be as simple as using GoogleSync to stay synched up. 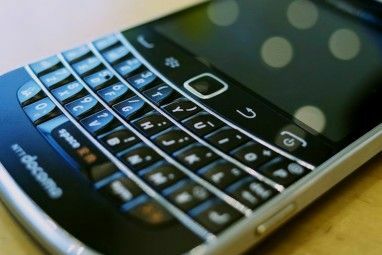 The fact is, Blackberry Technology was novel when it first came out, however the subsequent lawsuit with NTP, that claimed RIM used its technology already in use for PDAs, was only the first indication that while the technology is certainly effective and valuable – it isn’t rocket science. The device is now little more than a status symbol – a way for someone to feel like they’re on the cutting-edge of cellular technology. But in a few years, everyone will be instantly connected to their email, calendar and social networks – and it will be on to the next great thing. What’s your opinion of Blackberry Technology? Do you think it stands up to all of the hype? Share your own point of view in the comments section below. it never hangs like windows! I disagree. My co-worker has a brand new blackberry and it hangs just as often as my HTC Dual Touch. Apparently, the "remove-the-battery maneuver" is a not uncommon task among Blackberry users, as one of my friends who also has one of those confirmed. Mind you, I am not saying Blackberrys are bad and Windows Mobile devices are brilliant. If the BB Flip had 3G I would probably have bought that one instead, but now I am happy with my choice anyway. I am tired of the "fanboy" mentality a lot of users of these devices (or any Apple device) display, blissfully ignoring that all these products DO have their flaws and quirks. If we're honest it just comes down to personal preference what you choose to use. I understand the fact that Blackberry is "Push" instead of "Pull", but in countries that do NOT have data plans, would a Blackberry be able to connect using GPRS? Thanks! Blackberry always requires a BES contract in order to use the mail (A BES Contract !) and surf the net (wifi alows internet) ! I'm really disappointed with my Blackberry Bold because I most pay for a data plan which is kind of expensive, 50 euros a month , WTF ? and it's not even 3G !! !